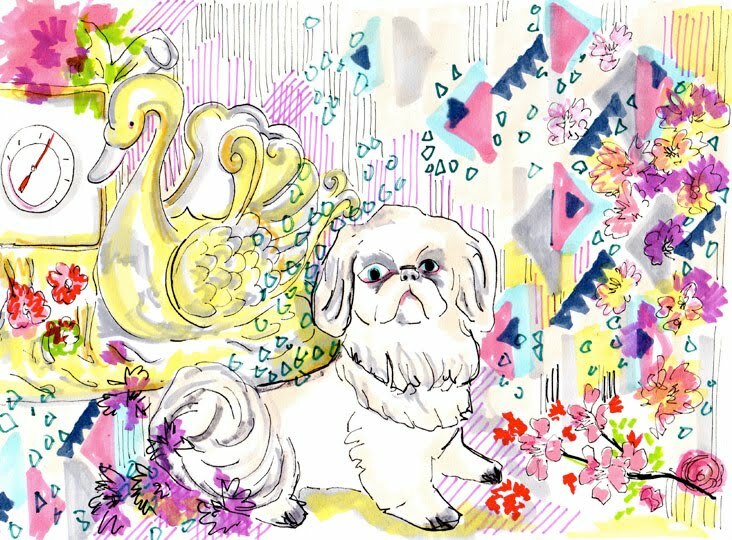 Discovered the joy of a Japanese Chin dog! Fairly difficult to draw and not make it look deformed though. Tomorrow evening I will begin to stitch again. Night, theres a whole lot of 80's below! This makes me think of summer: Golden Silvers. The dancing, the keyboards, the Steve Wright intro, whats not to love! Depeche Mode.